Laura Ingalls Wilder, gifted storyteller, wrote about her life as a pioneer girl growing up in the midwest, from 1867 to 1890, in her series of Little House books. From the little house in the Big Woods near Pepin, WI, her parents, Charles and Caroline Ingalls shepherded their growing family south to the windswept plains of Indian Territory, now Kansas, then back to the shores of Plum Creek near Walnut Grove, MN. After a short time in Burr Oak, IA, the Ingalls put down roots near DeSmet in Dakota Territory in 1879. 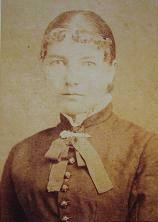 It was in DeSmet that Laura completed her schooling, matured into young womanhood, and married Almanzo Wilder. 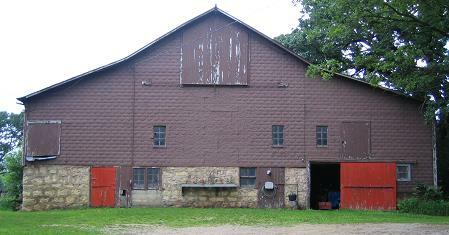 In her book, Farmer Boy, Laura recounts the early youth of her husband, Almanzo Wilder, with his family near Malone, NY. 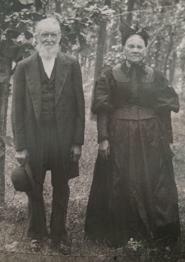 About 1870, James and Angeline Wilder visited her brother, George Day, an early pioneer who had bought land on the northwest corner of Spring Valley, MN. According to an old abstract, James Wilder bought adjoining land in 1870. After George Day's death in 1873, the Wilders purchased his land for $500.00, making the Wilder farm over ninety acres in three parcels. The Wilders then sold their farm in New York and moved their family here to stay. The family included parents James and Angeline, Laura Ann who was already living here, Eliza Jane who had come to teach school, Royal, Alice, Almanzo, and the youngest member of the family, Perley. After growing to maturity on his father's productive farm near Spring Valley, Almanzo Wilder headed west in 1879 to the "free land" of Dakota Territory. Accompanied by his older brother, Royal, and sister Eliza Jane, Almamzo soon claimed his acreage and began raising wheat near DeSmet, while Royal opened a feed store in town. Almanzo, the hard working young farmer, thrilled the young ladies of town as he dashed about the countryside behind his team of spirited Morgan horses. Almanzo was soon attracted to the independent young pioneer girl, Laura Ingalls. Laura was initially attracted by Mr. Wilder's beautiful Morgans, but she fell under the spell of the handsome driver as well. After a courtship of three years, Almanzo and Laura were married in a quiet ceremony at the home of Rev. Brown in 1885. The birth of their daughter, Rose, in 1886, was a small spot of sunshine in the shadows that surrounded them. Their wheat crops were planted, only to be destroyed by hordes of hungry grasshoppers, withered by blistering hot winds, or beaten into the ground by raging hailstorms. In 1887 their barn and the haystacks were destroyed by fire. To compound their miseries, both Laura and Almanzo came down with diphtheria in 1888, and Rose was placed in the care of her nearby Ingalls grandparents while her parents recovered. Almanzo went back to work too soon and suffered a setback, leaving him with paralysis in his legs and a permanent limp. A son was born a year later, but before Laura could choose a name for him, he died at 12 days old of convulsions. Tragedy dogged the young family when two weeks later their comfortable home burned to the ground. They built a two-room shanty in which to live, but desolate times were upon them. Almanzo'a parents visited at Christmastime, and apparently urged them to come to Spring Valley the next spring to spend time at the old farm home recovering their health. In the spring of 1890, Almanzo sold the sheep, bought with Laura's pay from teaching school, and set out for Spring Valley in their covered wagon, heavy in heart but with hope for the future. From May 1890 to October 1891 they lived with Almanzo's parents recuperating from their illness before moving to Florida to consider that state for a possible home site. They were soon back in DeSmet before moving to their final home in Mansfield, MO. It was Laura's daughter, Rose, who encouraged her mother to write the stories we now know as "the Little House series" Although Laura had been writing articles for her local paper for several years, it wasn't until age 65 that she began her first book. Laura continued to be delighted that school children the world over were enjoying her stories of "a pioneer girl". Laura and Almanzo Wilder lived out their lives on Rocky Ridge Farm near Mansfield, MO, enjoying their country life. Almanzo died at age 92 in 1949, and Laura in 1957 a few days after her 90th birthday. 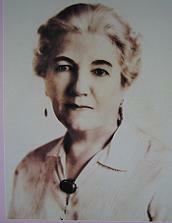 *Photos of Laura are distributed by the Laura Ingalls Wilder Home Association.